The Legacy Chronicles: Throwback Thursday: A real boxer! Throwback Thursday: A real boxer! Momma has always loved this picture! 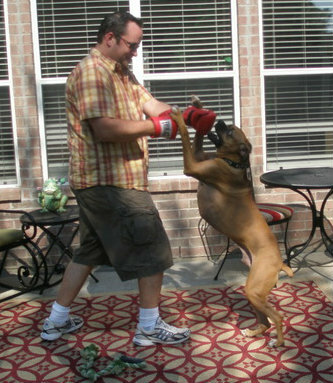 This is her brother, Uncle Adam, who brought his boxing gloves over once to play with Angel Casey. Like he stood a chance against a REAL boxer! BOL! A real boxing match! I love it! Casey's smile says it all!! Such a wonderful memory!